I’m delighted to have recently received contributor copies of one of each of three newly published poetry anthologies. 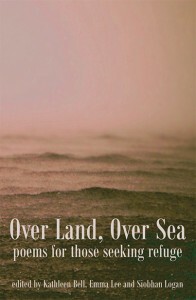 ‘ Over, Land, Over Sea ; poems for those seeking refuge’ is published by Nottingham’s Five Leaves Press and was put together by East Midlands writers Kathleen Bell, Emma Lee and Siobhan Logan as a response to the on-going (and given recent events, surely worsening) plight of people fleeing their homes in order to seek safety and/or a better life. The publication was crowd-funded and contains 102 poems by poets including Sheenagh Pugh, Joannne Limburg, Rory Waterman, Mahendra Solanki, Pam Thompson, Lydia Townsend and Maria Taylor. Proceeds from the sales of the of the book support three organisations; Leicester City of Sanctuary, Nottingham Refugee Forum and Medecins Sans Frontieres. The cover states that the anthology offers ‘…a range of responses: from grief to hope, from satire to anger. Above all this book reminds us that those who seek refuge are our fellow humans- people much like us.’ The book is beautifully produced and is available from the usual on-line outlets but if you order from the wonderful Five Leaves bookshop all the proceeds will go directly to the causes listed and UK postage and packaging are free. 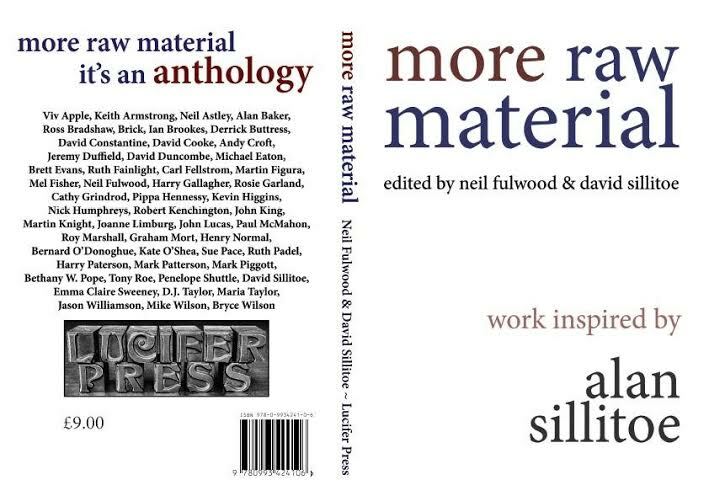 Another new anthology originating in the East Midlands is ‘More raw material’ a substantial and varied volume of work put together in order to pay tribute to Nottingham born writer, Alan Sillitoe. Work selected for this handsome anthology includes short fiction, essays, travel writing, art work and photographs and poetry. The preface is by the poet Ruth Fainlight who was married to Sillitoe, and one of her poems features alongside work from Neil Astley, Derrick Buttress, Ruth Padel, Penelope Shuttle, David Constantine, Alan Baker and many many others. There are personal reminiscences from contributors who knew Alan Sillitoe and the whole package, edited by Neil Fulwood and David Sillitoe, weighs in at a hefty 237 pages. ‘More Raw Material’ is very reasonably priced at £9.00 with all proceeds going to the Alan Sillitoe memorial fund and is best obtain from the aforementioned Five Leaves . 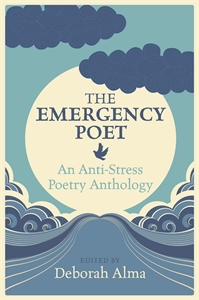 Finally, I’m delighted that my poem ‘Instant Karma’ is included in ‘The Emergency Poet. An Anti-Stress Anthology. ‘ This lovely hardback is edited by Deborah Alma and published by Michael O’Mara. Keep a look out for it in the poetry sections of bookshops, or order it here in the UK from WH Smiths at the ridiculously low price of £6.99 . Previous More thoughts on success.